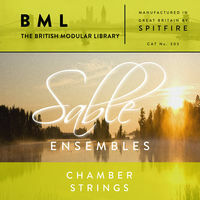 Our finest chamber strings library volume one; violins and cellos playing essential articulations. Small can be beautiful, ultra detailed and delicate. Part one of a band of 16 players (4,3,3,3). 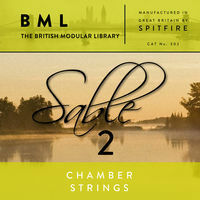 The world’s finest chamber strings library volume two; 2nd violins, violas and basses playing essential articulations. Small can be beautiful, ultra detailed and delicate. Completing (with volume 1) the must-have tools to write for a string band of 16 players (4,3,3,3). 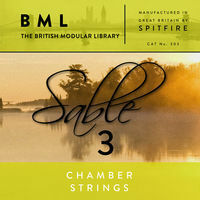 The world’s finest chamber strings library part three, playing extended articulations and additional techniques. Small can be beautiful, ultra detailed and delicate with our band of the sixteen (4,3,3,3) top British session musicians and concert players. 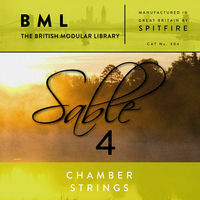 Sable Volume 4 features more additional and extended techniques and articulations from our small handpicked chamber band (4,3,3,3,3) of top London players using rarefied instruments in the hall at air studios via a world-class signal path onto 2″ tape. This unique mixed and compiled together as a quick compositional tool for both hands. A cherry picked selection of the most popular, beautiful and celebrated articulations from the Sable range, tirelessly re-mixed and baked for CPU lite use. An excellent tool for “deep users” an excellent intro for those yet to try this extraordinary range of chamber sized strings. With full dynamic, vibrato and round robin control. 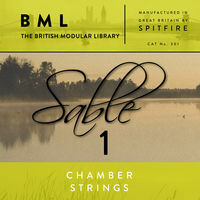 This entry was posted in archi, colonne sonore, cubase, divisi, Plug In, Samples Libraries, Software, spitfire, steinberg, Tutorial, viole, violini, violoncelli, violoncello, Vst and tagged archi, chamber orchestra, colonne sonore, london, orchestra da camera, sable, soundtrack, spitfire, strings. Bookmark the permalink.